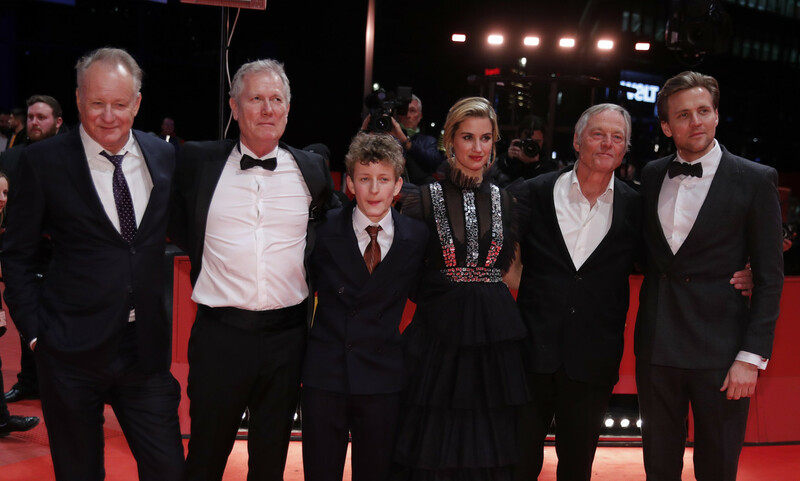 Out Stealing Horses, which premiered at the 69th Berlin Film Festival on Saturday, is based on a best-selling novel by Norwegian author Per Petterson. It tells the story of an old man's memories of a childhood summer spent in the forests of eastern Norway where he made decisions that impacted his whole life. "When I was a young boy, I lived very close to the forest ... many years later, I moved back to the forest and it was a whole new thing," Petterson said. "I immediately started writing this book". The father, who loves the same woman, at one point tells Trond "we do decide for ourselves when it will hurt." Petterson's novel was published in 2003 and has been awarded several literary prizes in Norway and in Europe. "Everyone says, if you should make a good film, you should take a very bad book and make a good film, and this is the most popular, international Norwegian book ever", said producer Turid Overseen. A Norwegian production company bought the book's film rights in 2008, but the filming did not start for another decade. "It is a fantastic book, but I thought they can't make a film out of this one ... But then Hans Petter Moland got (involved) and I knew he was the right man for it", said Skarsgard. "His relationship to Norwegian nature is unparalleled". "We are very proud of that sound mix ... It was only finished yesterday at 3 o'clock", he said.